The main theme of Kolcraft Cloud Plus Lightweight Stroller is to be the lightest stroller of the market. Their motto is ‘Be light’ and they built a great looking product which is lighter than most other ones holding the quality in it. This is what makes the product different than others. 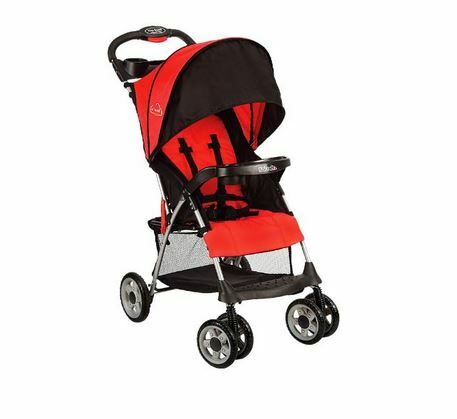 There are other strollers which are good overall but this one is good in everything and awesome in terms of weight. Obviously, being lightweight is not good enough for any stroller from any brand. The company knows about it and that is why they have brilliant features to support their prime one. In this section, you will get to know about some of those interesting features. Folding is an important feature of any perfect infant stroller. Folding lets you to maneuver the stroller in a lot better way than before and it is not a tough task to fold the stroller if you are using Cloud Plus. This stroller offers a one hand folding system which is the best in the current market. Whether it is a car traveling or a vacation, you can always fold it with one hand and take it with you. It won’t take space, it will be efficient and you will have a comfortable experience as a parent. Space is always an issue when it is a stroller. As a parent, you want maximum space inside so that you can not only keep the baby but also all your other stuffs in this same stroller. Think of it in this way. If you are holding a stroller with both hands, obviously you do not have a spare one to hold a bag or a cell phone. This stroller comes with every bit of space so that you do not need to carry extra belongings with you. There is a pick a boo window for your baby to look out when it is using this stroller. The pick a boo window is fun and it will give your stroller a unique look that you didn’t have in the previous ones. The seat obviously reclines to the lowest position to keep the comfort. Overall, the cozy and comfortable feeling will surely excite you. There is a 5 point safety harness which is the industry average. Yes, there are strollers that offer 7 point safety harness but you do not need them at the end of the day. Therefore, it can be said that this stroller is a great one in terms of specs. We couldn’t find anything that vital about this product that can be listed as a con. Overall, if you need a value of your price, this is the stroller that you should go for. The stroller is great and it will serve all your needs immediately.